In spite of the digital revolution, the U.S. printing industry is still a $77 billion market and entrepreneurs who want to take advantage of it have a great short-list of strong companies in these top 6 printing/marketing franchises of 2019. There was a time when all of these companies could easily survive just by providing rapid printing services, but this is no longer the case in the digital era of the 21st century. 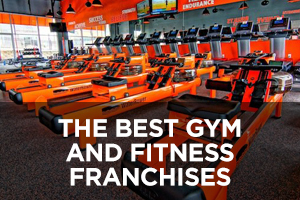 All of these franchises have had to evolve and change with the times, which is why they all offer a broader array of services, including design, print, promotional, and marketing services to the business community. The good news is that the markets for these various services continue to grow. In the U.S., according to IBISWorld, digital printing is an $11 billion market, promotional products a $17 billion market, direct mail an $11 billion market, and wide format inkjet printing a $24.3 billion market. 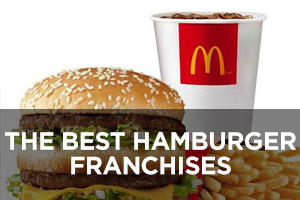 It’s also worth noting that all but one of the six companies on this list have achieved or maintained a ranking on Entrepreneur magazine’s Franchise 500 list, in spite of declining or stagnant location numbers for five of the six franchises. 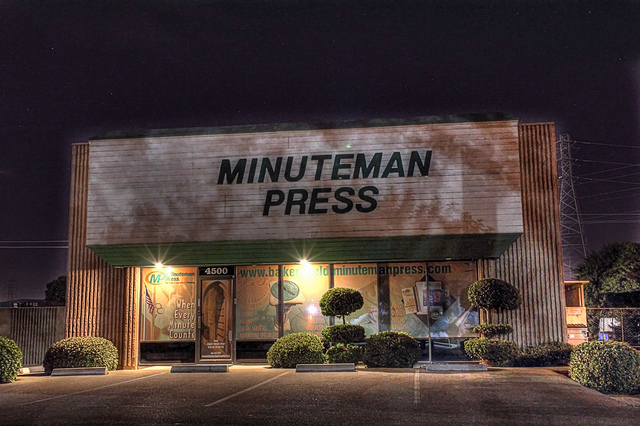 Minuteman Press has maintained its focus on helping local businesses since it was started by Roy Titus and his son Bob in Plainview, New York back in the early 1970s. The company philosophy is that all community businesses need to establish a strong brand identity, which is something that can be accomplished through Minuteman design and print services. By acting as a local consultant to not only print materials for businesses but also help them strategically develop their marketing and advertising plans, the chain enjoys a high rate of repeat business with its customers. Minuteman has also embraced the digital revolution in its business processes, allowing for online design, ordering, and proofing to improve speed and efficiency. The services pages of the company website lists nearly 30 distinct services that show the full range of what it offers to local businesses, with a focus on printing branded promotional products. 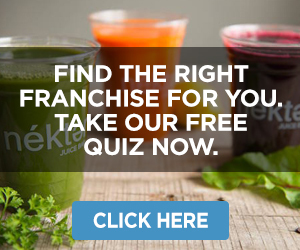 This company currently ranks #123 (up from last year’s position of #141) on Entrepreneur magazine’s Franchise 500 list and has been named the #1 print and marketing services franchise 26 different times, including the last 16 consecutive years. 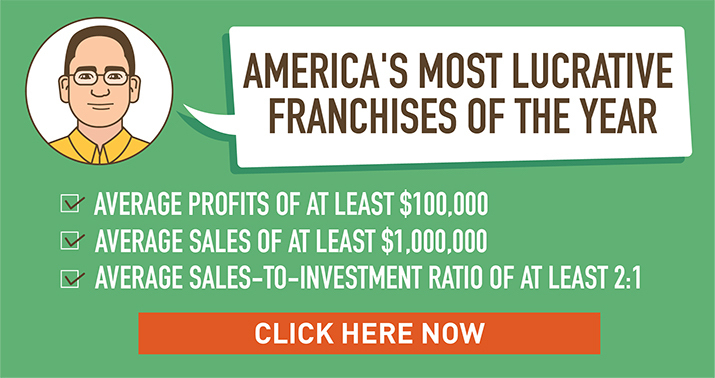 Founded in 1973 and franchising since 1975, the number of locations has held relatively steady in recent years, hovering around the current total of 966, none of which are company-owned and 251 of which are located outside the U.S.
Proforma created a unique business model geared towards serving medium and larger businesses to meet their printing needs. 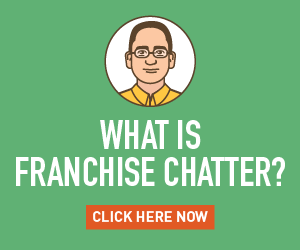 Each franchisee acts as a local sales agent that works with a carefully selected network of suppliers to deliver whatever it is that customer needs. 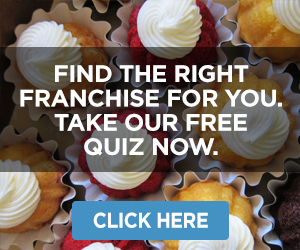 This is how only 650+ franchisees are able to serve in excess of 60,000 clients. Its service offerings have expanded over the years to include branded merchandise, custom packaging, uniforms and apparel, local and global fulfillment (warehousing and distribution), eCommerce solutions, digital media (video marketing, social media amplification, marketing automation, etc. ), awards and recognition, smart communications, and creative solutions (marketing campaigns, project development, design, copywriting, etc.). 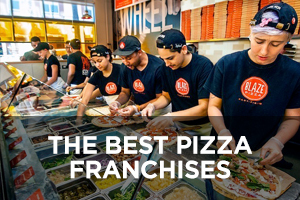 The focus on larger businesses has served the company well, with a growing group of franchisees who have achieved more than $1 million in annual sales. Among the chain’s customers are AT&T, Coca-Cola, Nationwide, Little Ceasars, Sealy, Sherwin Williams, Skechers, Sony, and UPS. The Proforma Acquisition Company is a division that helps owners of print, packaging, and promotional product distributorships form an exit strategy and sell their companies. Founded in 1978 and franchising since 1985, the number of locations has declined in recent years from 753 in 2011 to the current total of 636 (down from last year’s total of 654), none of which are company-owned and 43 of which are located outside the U.S.
AlphaGraphics entered the printing industry back in 1970 and then became a pioneer in the desktop publishing industry back when personal computers were still relatively new in 1984. Like the other companies on this list, AlphaGraphics offers a diverse range of services including regular printing (business cards, letterhead, brochures, posters, etc. ), graphic design, marketing communications, book publishing, signage, branding, document creation/management, and more. The franchise established its own Quality Management Program to maintain high standards in quality products and efficient production based on ISO 9001:2008 combined with Lean Manufacturing principles. Each AlphaGraphics business center is required to follow the program’s strict requirements, ensuring a consistently high-quality customer experience across locations. Many AlphaGraphics franchisees are deeply involved in Junior Achievement (JA), a non-profit organization that helps millions of young people get excited about becoming successful entrepreneurs each year. 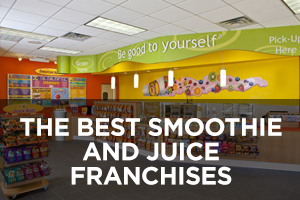 The franchisees share their real-life business success and know-how with young people in the communities in which they operate. 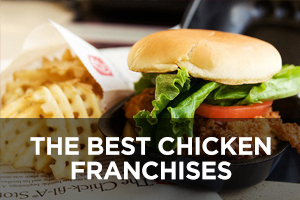 This company currently ranks #124 (up from last year’s position of #142) on Entrepreneur magazine’s Franchise 500 list. Founded in 1970 and franchising since 1980, the number of locations has grown slightly in recent years to the current total of 280, none of which are company-owned and 24 of which are located outside the U.S.
Allegra Marketing-Print-Mail is a full-service marketing and print communications company that helps businesses large and small answer such questions as the following: How can I build brand awareness? How can I grow my existing accounts? How can I generate new leads? How can I inform and engage my team? It answers these questions with an array of services including marketing (B2B, B2C, content, direct mail, email, web, videos, mobile, etc. ), printing (brochures, forms, flyers, newsletters, presentations, booklets, business cards, training manuals, calendars, envelopes, labels, postcards, etc. ), mailing (database management, mailing lists, direct mail, and other mailing services), designing (copywriting, identity materials, graphic design, and logo development), web (website design, local search, paid search, personalized landing pages, social media integration, etc. ), signage of all types, and promotional products (awards and recognition, computer accessories, health and safety, bags, desk items, mugs, and drinkware). This company currently ranks #414 (down slightly from last year’s position of #400) on Entrepreneur magazine’s Franchise 500 list. 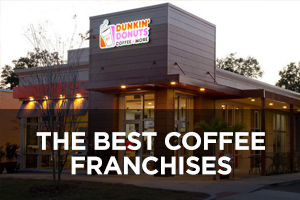 Founded in 1976 and franchising since 1977, the number of locations has declined in recent years from 343 in 2009 to the current total of 250 (down from last year’s total of 258), three of which are company-owned and 24 of which are located outside the U.S.
Sir Speedy Print Signs Marketing offers a range of services that falls into such categories as printing/copying, signs, direct marketing, integrated marketing (multi-channel marketing campaigns), creative services (copywriting, graphic design, logos, etc. ), mailing services, finishing and binding, fulfillment services, promotional products, trade shows and event marketing, website design, data services (list profiling, segmentation, acquisition, hygiene, response tracking, and more), online storefronts, mobile marketing, and social media. Sir Speedy relies on many well-known partners for its equipment and services, including Ricoh, Xerox, Canon, Konica Minolta, HP, 3M, Grimco, Acxiom, EFI, ASI, UPS, USPS, and Exact Data. The company is always looking for ways to improve its operations and efficiency, like its adoption of Spike a few years back. This laser-accurate smartphone measurement app lets sign-makers quickly and easily measure signage locations by capturing the width, height, and area of a space with their mobile device to save time and cut costs. Sir Speedy is owned by FSI – Franchise Services, Inc. – a franchise company that has been managing various business services brands for more than 40 years, including TeamLogicIT, Signal Graphics, PIP, Eastnet Print, and MultiCopy The Communication Company. 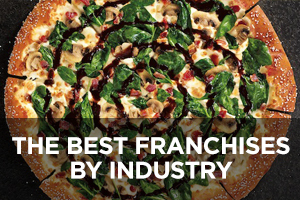 This company currently ranks #386 (down from last year’s position of #355) on Entrepreneur magazine’s Franchise 500 list. 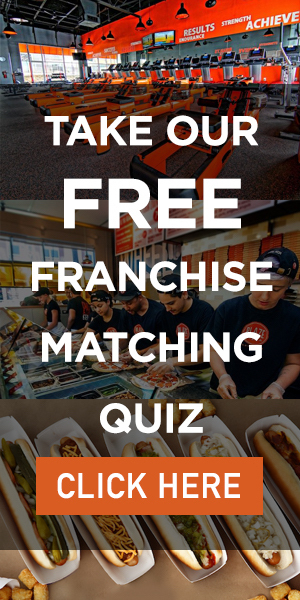 Founded in 1968 and franchising since that same year, the number of locations has declined significantly in recent years from 404 in 2009 to the current total of 231 (down from last year’s total of 239), none of which are company-owned and 74 of which are located outside the U.S.
PIP Marketing Signs Print offers a similar array of services as other companies on this list in such categories as printing and copying, signs, direct marketing, integrated marketing, creative services, mailing services, finishing and binding, fulfillment services, promotional products, tradeshow and event marketing, data services, online storefronts, mobile marketing, social media marketing, packaging, labels, and video production. 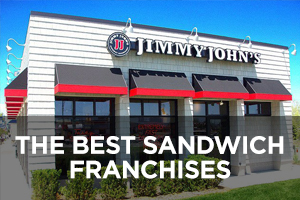 If that list of offerings looks very similar to Sir Speedy, that’s because both chains are owned by the same company – Franchise Services, Inc. (FSI), which means they also rely on the same array of partner companies in terms of equipment and services (the websites of both companies also have similar layouts and functionalities). 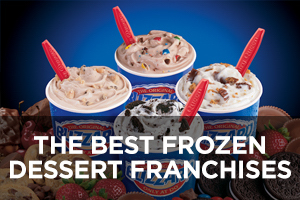 This company currently ranks #433 (down from last year’s total of #390) on Entrepreneur magazine’s Franchise 500 list. 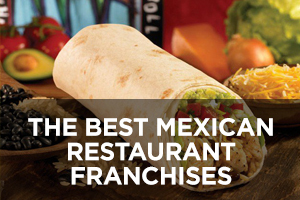 Founded in 1965 and franchising since 1968, the number of locations has declined in recent years from 136 in 2009 to the current total of 68, none of which are company-owned and two of which are located outside the U.S.